Sister Maria is being chased by an armor creature who wants to know where Joseph is (a clone of magneto, who at the time they thought was Magneto). Right as he’s about to kill her, a stranger with Blue skin saves her thanks to two large slugs which devour his armor and the man. 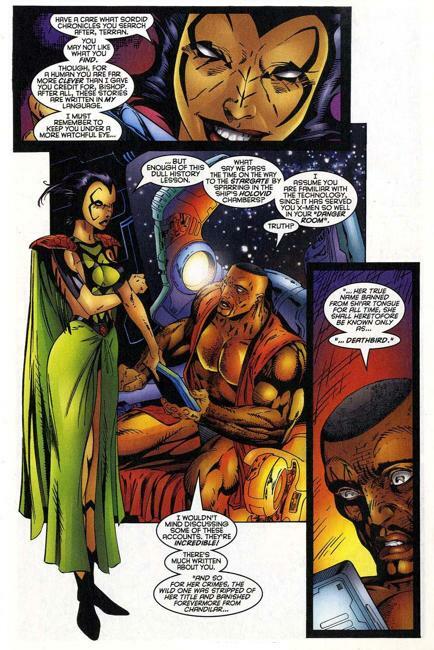 He then asks her where Magneto/Joseph is. In outer space Rogue, Joseph, Beast, Bishop and lila Cheney are enjoying the festivities until their ship must depart for earth. On the ship Bishop reads about deathbird and is fascinated by the shiar princess. She in turn slips into a seductive garb and wants to whisk him away to the holodeck, she is equally enamored by him. Just then they are attacked by another ship and an explosion rings out. Maggott had a nice brief introduction which made him seem like quite the villain. 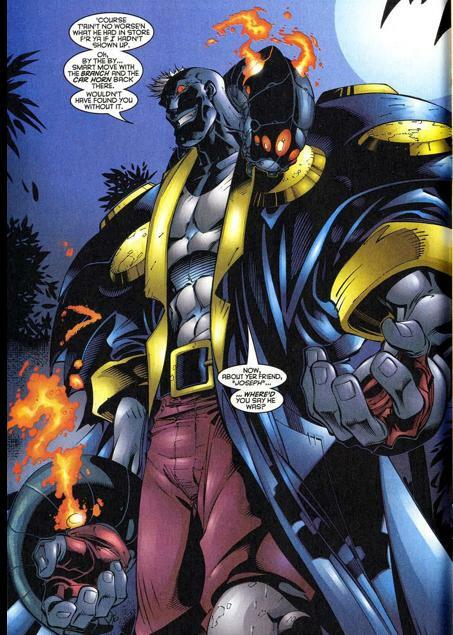 He had a tall statuesque design with glowing red eyes, it’s a shame he later devolved into something far less cool. Deathbird and Bishop are a favorite couple of mine so it was interesting to watch them dalliance around each other with the mutual chemistry was heartwarming. The art and colors were a great compliment to the overall story as well. Nothing eventful happened really. It was an average read.